Edmodo is a social networking website that has a huge potential in education. Thousands of teachers and educators have already started using it with their students and I personally believe that more and more educators will flock to it. 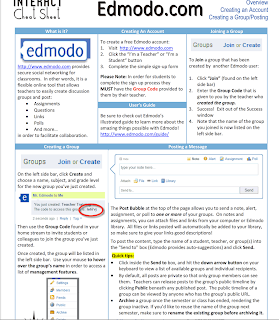 Edmodo provides a wide variety of features and services for teachers including the ability to create classroom groups where teachers and students get to share learning materials. 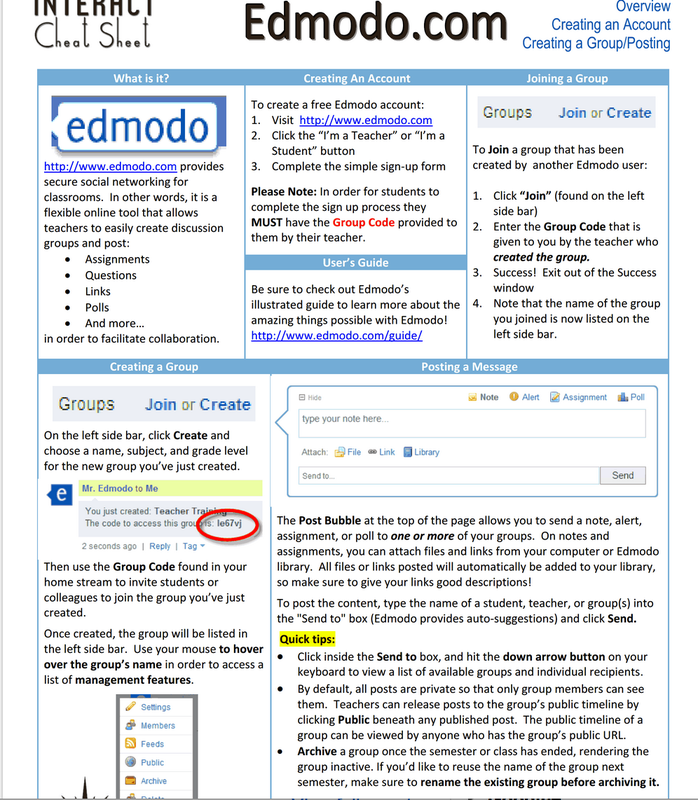 The cheat sheet below sheds more light on what Edmodo is and how you can use it to first create your account, then set up your classroom group and finally a few words on how to post stuff on it. Click HERE to access to original cheat sheet.